Rotor Solutions are the specialists in precision agriculture. The helicopter spraying experts, committed to providing farmers an accessible, quality service, built on experience, for over ten years and counting. Rotor Solutions Australia is a fully certified and accredited, family run business. Centrally based in Albury NSW, Rotor Solutions has operated for the past ten years throughout New South Wales, Victoria and the ACT. Rotor Solutions offers a range of helicopters suitable for all conditions and types of work, always piloted by experienced personnel offering a wealth of knowledge and expertise. Whilst helicopter spraying is at the core of the business, there is so much more Rotor Solutions can offer to you. Rotor Solutions Australia offer a range of helicopters with capabilites tailored to your specific needs and requirements. 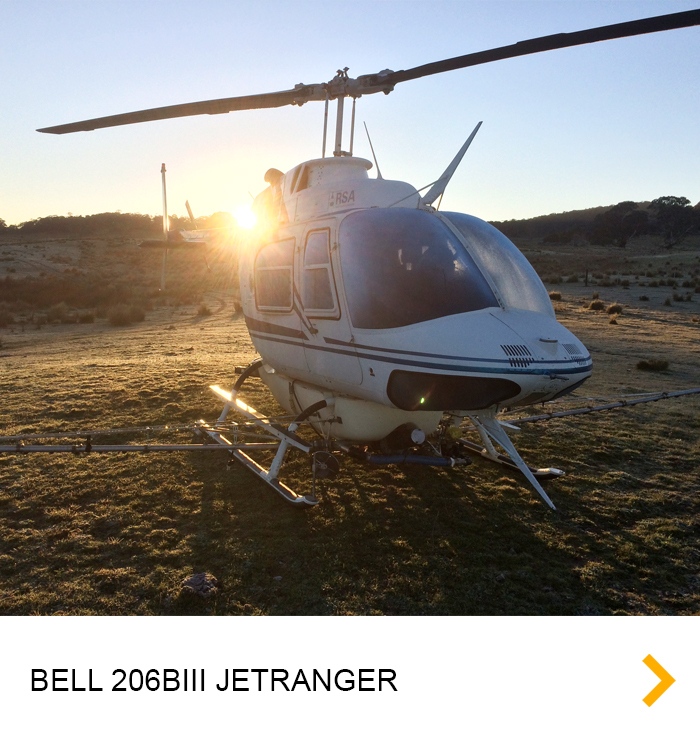 Click to browse our helicopters and find out more information. Specialising in aerial agriculture, including helicopter spraying, Rotor Solutions aims to always offer customers cost effective, timely and suitable solutions for their individual needs. Our helicopters in action over the years and today.